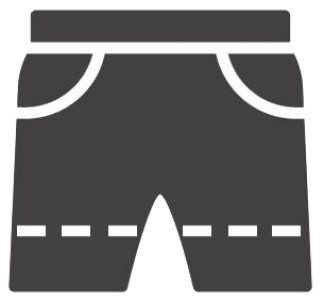 Fiction – Who Writes Short Shorts? Steven mastered time travel. He mastered the brutal simplicity of it. There is only one reason to travel into the past, and that is to change it. There is only one reason to travel into the future, and that is to determine it. He started with the past, with his first wife. He didn’t kill her. He simply erased their marriage. To be certain of the effect, he went so far as to remove certain preconditions to that matrimony, like their attendance at the same high school, the senior prom and those embarrassing photos. Sure, there might still be some someone in the world with a past like hers, even a name like hers, but the tangle of their lives together was gone as surely as if it never occurred. It was a much more satisfying separation than divorce had ever been. The residue that had infected his relationships, his life after that divorce, the recursive torment of what might have been, all that was gone. His second wife was a more delicate operation. He found that there are limits to what one can change when one travels into the past. One cannot recover what fate has erased. Fate had erased his second wife. He cured her of the horrible blood disease that had debilitated her, that had robbed her of her beautiful smile, that had wasted her voluptuous body, that had finally killed her. He arranged instead for her to die in a shocking, freak accident at the exact day and hour that fate had ordained. At least she didn’t suffer. He could remember her healthy, robust and happy, loving and being loved, until the last instant. He was tempted to branch out, to correct the difficulties of a few others, but the past is a delicate fabric, and he had already changed much. He moved his focus to the future, at first a much more simplistic, almost cartoonish landscape populated with vague stick figures who only gained flesh once one gave them close attention. He found a small cottage in a country setting where he would spend his advanced old age. He contrived that he would be fit and engaged. His mind would be sharp and his fingers still nimble. He lined up some neighbors, not too close, who would be helpful, but respectful. He negotiated with Fate to be kind. He surveyed his work from the wooden chair in the kitchen of his third-floor apartment and felt pleased. “You must have the wrong number,” he said. He replaced the phone in its cradle. As an afterthought, he pulled the wire from the back of the phone. He gazed out the kitchen window, past the rusted fire escape, across the brick-strewn, vacant lot, at a line of stunted vegetation on the far edge. He thought about his cottage, his diffident neighbors. It was FREE Friday, and Guido was late, again. Fresh donuts were spilling out of the oven faster than Marra’s reddened fingers could place them on the cooling rack. Doughy sweetness filled the bakery while hundreds of cooled donuts waited for Guido’s signature icing. And the bakery was to open within the hour. “Today is so NOT the day to be late!” Marra muttered, placing another greased, dough filled pan onto the conveyer. She quickly washed her hands. In exactly five minutes the donuts would start spilling out again, giving her just enough time to start the coffee pots. She loved the bakery, the early mornings and the aroma of sweetness. She had grown up watching Gramps and Guido create and bake their way into the neighborhood’s heart, and making it her home. Marra sighed as she sniffed deep rich coffee beans, and poured water into the pots. Her best memories were in this bakery. Gramps had taught her the business, so it had been an honor to carry it on. “Marra, I’m here!” A feisty Sicilian, always late, but his reputation for to –die -for buttercream icing earned him continual forgiveness. Plus, Marra had inherited Guido with the business. “You have forty minutes and three hundred donuts!” Marra shouted from the front, a smile tugging her face. Pans and spoons clanged, the mixer fired up and the kitchen filled with a cloud of powdered sugar and Guido’s singing. Thirty minutes later, there was steaming coffee, and a display case full of iced donuts. Free Friday was ready to start. As a way to generate business and show gratitude, Gramps started Free Friday in which any cop, fireman or EMT still in uniform was offered free coffee and donuts. It started slow, but like a downhill snow ball, it grew quickly. It wasn’t about a profit, and Marra loved giving back to the community. “He’ll be here.” Guido grinned and winked. “Who?’ Marra asked innocently, trying to hide the blush that crept up her face. “He’s not my cop.” But, she had taken extra care with her hair just in case. “See, you do know who!” Guido teased, and flipped the on OPEN sign. Within minutes, the first of many began to trickle into the bakery. Jacob hadn’t missed in the last seven weeks. Not that she was counting. The first time, all she noticed was his broad shoulders and those deep green eyes. The second time, his lazy smile and the lack of a wedding ring. Eventually, his name. And that he was a detective. Lately though, the conversations were tantalizing and Jacob would stay until late morning. The attraction was definitely there, but she was starting to wonder if he felt the same. Would he ever ask her out? If he only knew some of the fantasies he had been in, Marra blushed in memory. He might be a detective, but he was missing some obvious clues. Three hours later, all the donuts and copious amounts of coffee mingled with the laughter and banter of grateful servicemen, including the entire 34th precinct, celebrating their captain’s birthday, were gone. Lacking the arrival of Jacob. Guido shut off the Free Friday sign and waved as he left. Embarrassed with herself over an imagined romance, Marra marched into the kitchen to start the weekend orders. Her shoulders were sore, and her forearms burned, as she pounded out dough fueled by frustration, when the front door chimed. She wiped her floured hands on her apron, pushed through the double doors and stopped. The object of her frustration was standing in the center of her bakery. Be still, my heart, she thought. “Hello! Sorry, but you missed it.” She didn’t mean to sound so aloof. Kripes, don’t blow it! “Today, I didn’t come for donuts,” Jacob said as he walked towards her, never taking his eyes off her. “OK, well, is there something I can get you?” Her heart was in her throat, she swore. “Yes”, he said with a slow smile, and stopped in front of her. His hand cupped her cheek and then his lips found hers. The kiss was sweetness and strength, and pulled her under. “Gracious woman. You have no idea how long I’ve wanted to do that,” he sighed. “Fridays aren’t enough. I want more than once a week. Tonight, dinner?” He whispered against her mouth. Nestled in the Midwest, C. Joy writes for fun, reads with a passion and lives to experience as much life as possible. Your life history. Page by page. Every morning you are the first one awake. At 6:30 you open the back door and let the dog out. You don’t like the dog. The dog doesn’t like you. You are not its master. When the morning sun is out you raise your head up into the rays. You immerse yourself in its warmth. For a second you look. Happy. Then chaos ensues as the rest of the house awake. In the madness you blend into the background. Invisible in your own house. But I see you. You go to say goodbye to her. She recoils as you move closer. Eventually letting you kiss her on her cheek. She swats your arm away like a fly as you try to caress her. You wander out of the house, looking as if you were the one who had a tail to put between your legs. The house breathes a silent sigh of relief. She potters about the everyday mundane that nobody likes to do. At 1pm, Tuesday and Thursday her lover slithers into your house. They could not be closer. Passion and lust in equal measure. They make love on the kitchen diner floor. The new flooring that you laid last Bank Holiday weekend. By yourself. On your own. Alone. I feel sick for you. I feel hurt for you. I want to tell you. I know if I told you it would not hurt as much. But I am not allowed. Those are the rules. My stupid rules. Thirteen hours later you return. You move around the room like a considerate intruder. You even pierce the film on the microwave meal as quietly as possible, just to ensure you don’t wake anybody from their slumber. Always kind, always thinking of others. You start to eat. After a few mouthfuls you raise your head. Chewing, you survey your domain. When you finish chewing you still keep looking around the empty space in the room. You look lost. Alone. I feel a tear roll down my cheek. Every morning you are the first one awake. At 6:30 you open the back door and let the dog out. Today you stand in the morning sun. With your arms outstretched it looks like you are trying to hug the sun. I share a smile with you. Brian Weston is a nervous newbie writer. Loving writing and hope to find people that love what he writes. Alan Bennett is his hero. With Brian Bilston a close second.